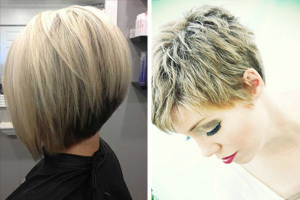 Right now most men prefer short hairstyles – they’re easy to style and maintain and keep you looking fresh and groomed. 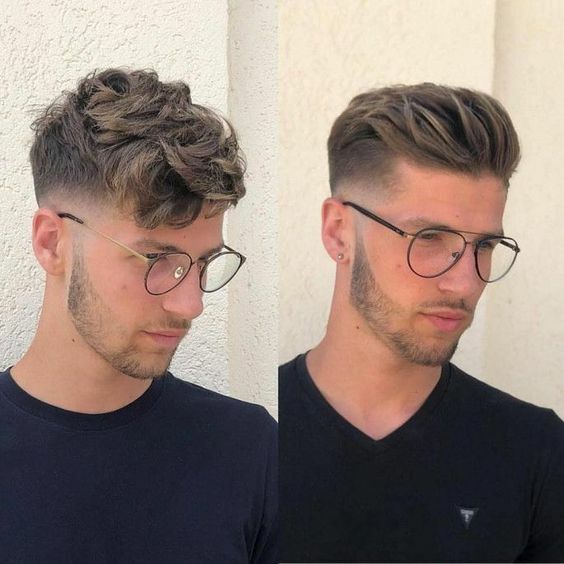 But there’s still a huge range of different ‘looks’ and this gallery will show you the trendy, new male haircuts, so you can choose something that suits your personal ‘vibe’. So take a look at the latest classic, hipster, military and futuristic men’s haircuts here and select your strong, new image! Use your short hairstyle to project an image you can easily match with your beard-style and fashionwear to get the most impact. For example, this classic high quiff short hairstyle looks great along with a classic-cut jacket, shirt and tie. 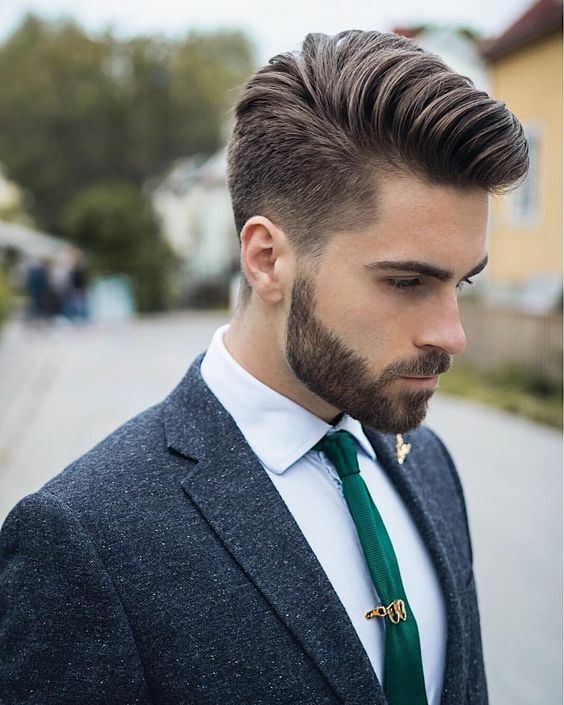 And like the clothing in this image, the haircut has a modern twist in the extra texture combed into the quiff, thanks to modern styling product. The sides are perfectly tapered down to join with neatly shaped sideburns and a carefully shaped beard and moustache. And here’s a quirky modern take on the vintage D.A. back! The modern twist comes from the barber creating shaved areas on either side of the V-shaped back. So the defined shape gives this style plenty of trendy edge. The hair has been lightened with gold-blonde highlights and styled to look just like duck-feathers. 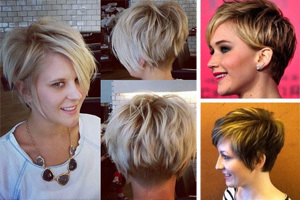 It’s a hip, casual, tousled look with a witty touch as it references the original D.A.! More and more stylists are designing guy styles to incorporate facial or neck tattoos. But now some enterprising stylists are creating the look of tattoos with some nifty shaving techniques! 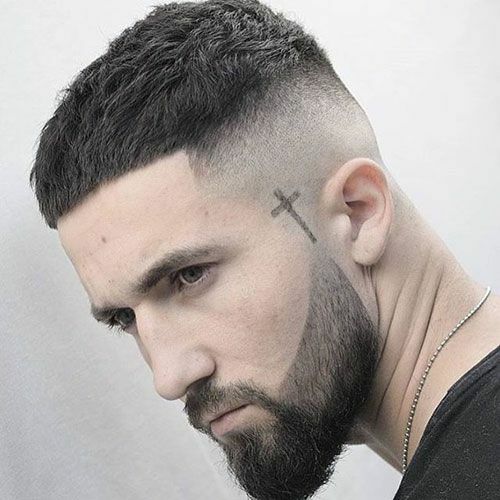 This neat full beard haircut has shaved sides, with a black cross made of the model’s hair. Full marks to this stylist for starting a great new trend. Unlike permanent tattoos, you can remove this head decoration whenever you want! 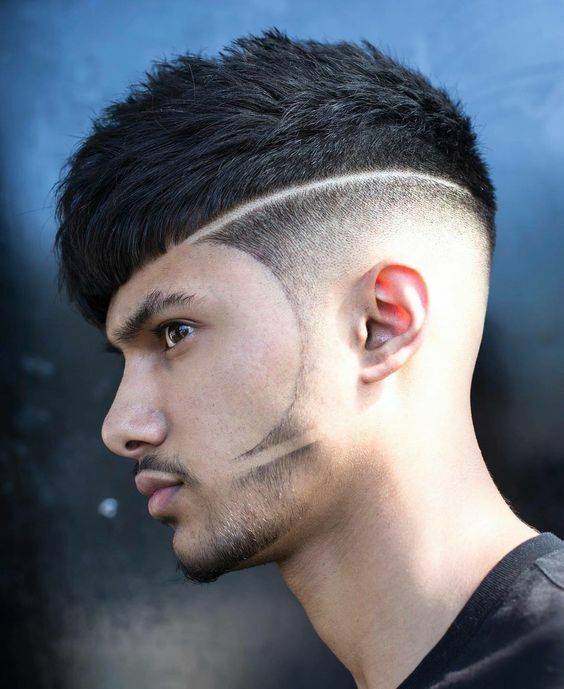 This is a stunning new way to present yourself in a very strong, futuristic hair and beard design. The top is razor cut in a tousled basin cut, with a perfectly shaved line defining the edge. And then the back is shaved to emphasise the radical side-burns precision-shaved into a sci-fi curve with a shap tip pointing to the lips. Another shaved section completes this blend of geometric shapes and curves for a dynamic young man’s haircut! Micro-bangs are big this season and this men’s hairstyle shows the trendy uneven bangs you need to rock this look. The barber has used the basic short back and sides, with a strongly textured top. And then styled it into a soft point above the forehead. 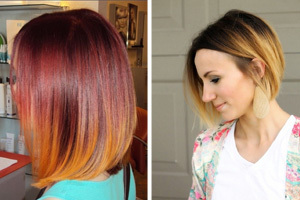 This contrasts with the stark, shaved sides. And the full beard and moustache are neatly clipped short for a well-groomed, manly image. 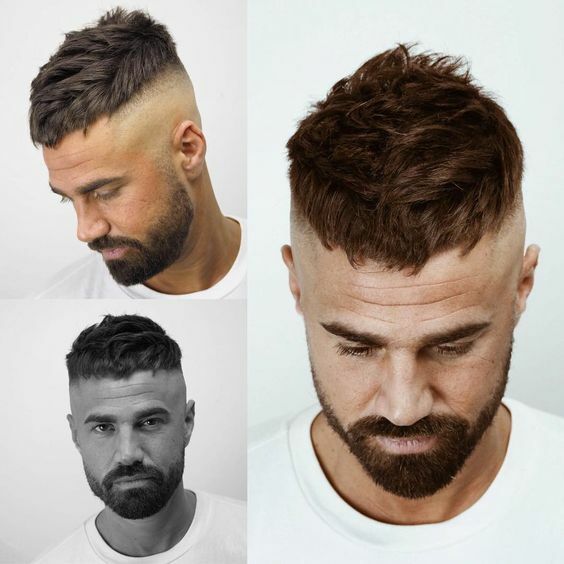 These two images show the versatility of a men’s haircut with longer top layers. 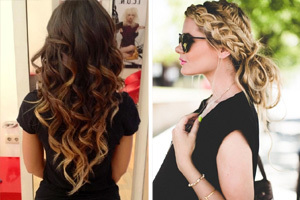 You can switch between a casual, side part with thick, swept across and defined strands, which drape down to soften the forehead. Or brush your hair back for a more formal, straight back style showing a strong square forehead and nice side fade texture. The beard and moustache are neatly trimmed to a short length to project a hipster look. 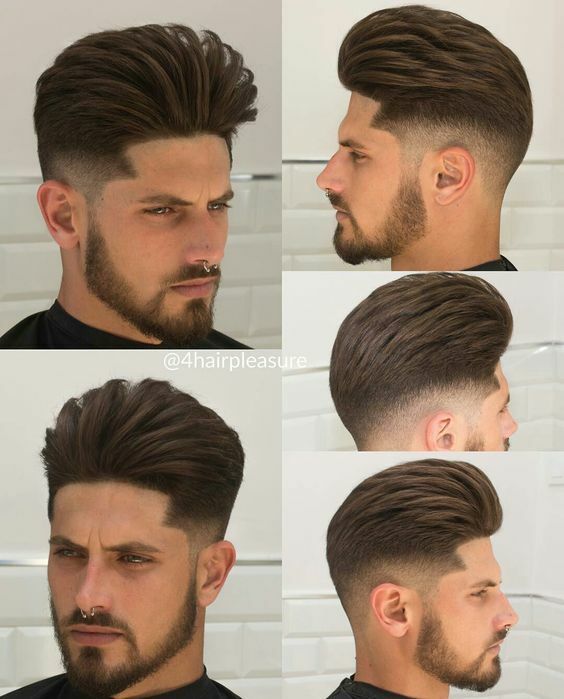 Thick hair need strong shape and control and this is what you get with this trendy new men’s short hairstyle. 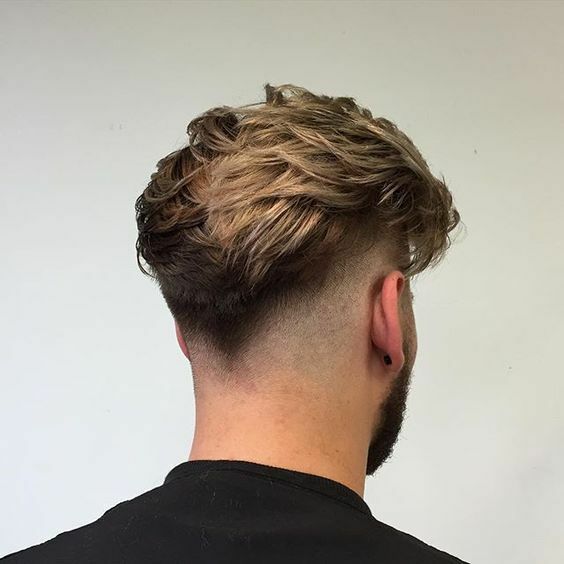 The side-parting is good for anyone with a long face and in this haircut, the barber has shaved-in the parting, to create a broad, precise line. There’s a strong geometric line in the razored hair line at the sides and highly graduated layers create a trendy color fade down to the ears. The full beard and moustache look mature and manly and you get natural volume over the forehead from thick hair. 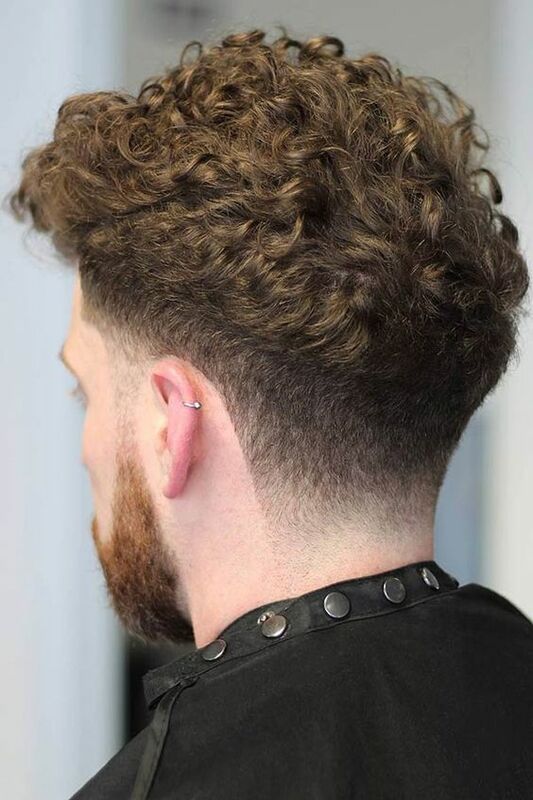 Control tightly curled hair types with this trendy short men’s hairstyle. The barber has created a strong contrast between the buzzed sides and back, which have precise, geometric lines, and the curly hair above. 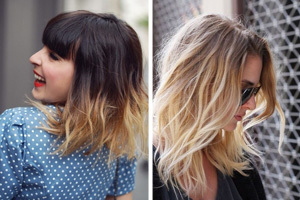 And then you can easily style the top by brushing it all forwards in a modern, below the crown focal point. 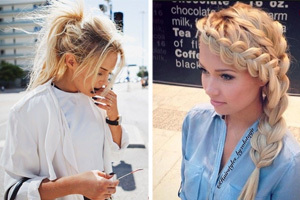 It’s a great way to wear curly hair in a casual, but neat look! Here’s a great new style for adding length to a low forehead or balancing out a round face shape. 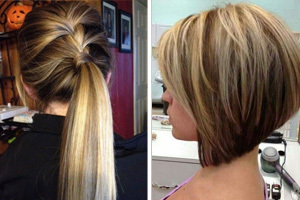 The barber has cut the top in long layers and then styled them for extra height to lengthen the facial silhouette. There’s a lot of defined texture in the high-volume top that could add a couple of inches to your overall height. And the sharp edges of the hairline make strong geometric lines that match with the narrow beard, sculpted around the mouth. This casual look is ultra-trendy, with carefully tousled layers on top creating an ‘outdoors man’ windswept image. 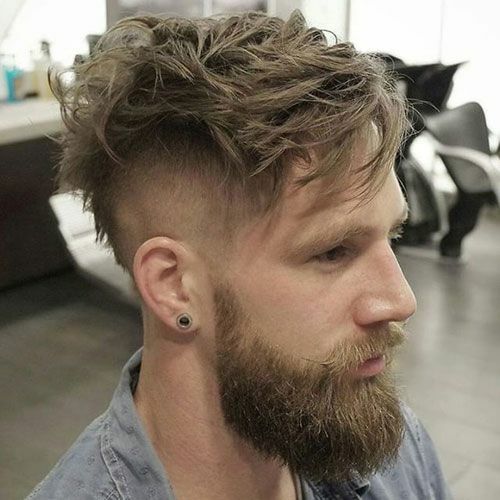 The basic shape is a modern version of the popular Mohawk, with a longer vertical line of hair at the back, moving up to a shaggy textured top. The bangs are long and side-swept, softening the forehead for a relaxed look. And the full beard and moustache are quite long for a trendy, ‘traditional’ beard style. 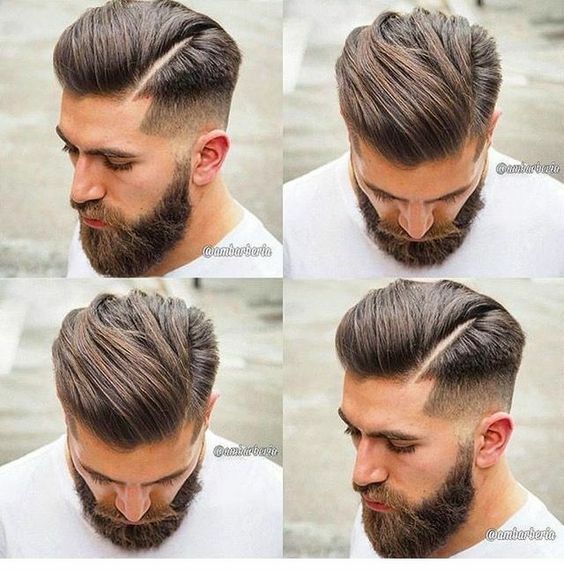 So all you need to do now is show your favorite hairstyle to your barber, who’ll be able to tailor it to suit your face shape and hair texture. And you don’t need to learn lots of technical terms to explain what look you want! 10 Short Haircuts for Men – Top10 Most Wanted!